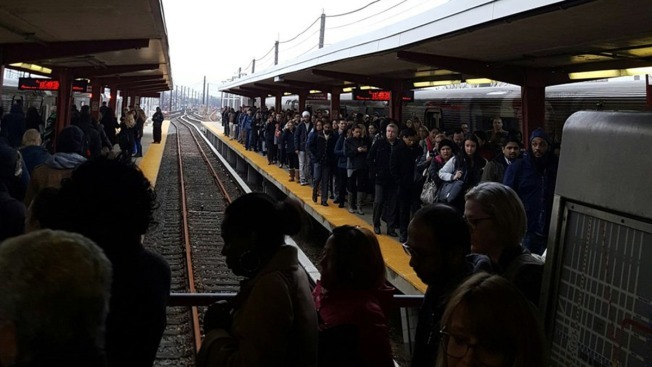 PATCO customers have recently voiced their frustrations on social media over lengthy delays, overcrowded platforms and bad service. 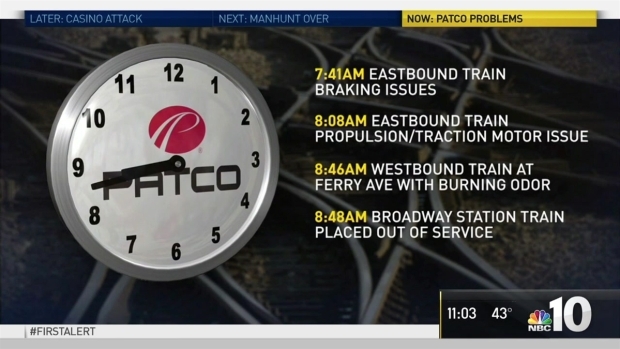 PATCO officials say ongoing mechanical issues and a train shortage are the cause of delays that have led to major headaches for their passengers. PATCO customers have recently voiced their frustrations on social media over lengthy delays, overcrowded platforms and bad service. The problems continued for passengers at PATCO’s Collingswood station Tuesday. “Normally, what is a 40-minute commute from home to work turned into an hour and a half,” said Huda Brooks Goldman. PATCO pulled five trains out of service before 9 a.m. Tuesday. One of the trains experienced brake issues, another a motor issue and there was a report of a “burning odor” on a third. PATCO’s General Manager John Rink released a statement acknowledging that the transit agency “failed to provide the level of service” their passengers expect and deserve. @RidePATCO Have been riding PATCO for 30 years. Always amazed at the dependability and reliability. Recent months have been so frustrating. Rink says crews have been working to maintain and repair trains impacted by the winter weather. In some cases, leftover snow and moisture got into traction motors – a vital part of a train’s propulsion system – and caused them to short out, according to Rink. Rink also says moisture from snow and ice has impacted the braking, air compressors and door mechanisms of their trains. Rink says a normal motor replacement can take six to eight hours. Rink also says PATCO’s ongoing Transit Car Overhaul Project has reduced the number of cars available. PATCO crews are currently working overtime to address the repair backlog, according to Rink. “Over this past weekend alone, more than 500 person-hours were logged in the maintaining, inspecting, and repairing the train fleet for service on Monday,” Rink wrote. Passengers told NBC10 they were frustrated but would still stick with PATCO. Visit the PATCO website for more information. PATCO passengers have been dealing with delays and crowded trains since the start of the new year. NBC10's Brandon Hudson speaks to frustrated riders and gets an explanation from PATCO.